What to Plant When – Or is it too late? With our heavy snows (in March! ), cold April and temperate May, it has been a slow start in the vegetable garden. Don’t rush it. If your tomatoes were blah last year, try new varieties or plant other vegetables that grow better in your garden’s location. A bad year for tomatoes can be a spectacular year for broccoli, beets and greens. A short-season tomato may not do as well as a long-season variety or vice versa so maybe plant both to hedge your bet. Below are easy-to-grow vegetables and herbs that you can start in the garden as soon soil can be worked along with tips on where, how much and other cultural requirements. This means if you scoop up some typical garden soil that it is crumbly, not a mucky mud ball. It will stick together somewhat but not as an impenetrable clod. You won’t be able to squeeze water out of it but it will hold together. Gardeners call the following “cool weather crops”. I’ve selected some of the most popular to grow and ones that are truly extraordinary when fresh-picked, making them worth the trouble. There are more. If your family loves a vegetable not listed, please contact us for tips on growing it for yourself. And no, it's not too late. These herbs and vegetables can be planted as seed directly into the garden and in succession every 2 weeks through the time indicated. Spicy green that adds zip to salads and stir-fry. Try using it in place of basil in your pesto recipe – outstanding! Arugula holds up in light frost and often can be picked right up to Thanksgiving! Young green tops add great tartness to salads. Fresh beets roasted or blanched to al dente texture taste nothing like those canned pickled beets found in salad bars. Carrots are sweet and delicious from the garden but take a long time to germinate. Start early and keep seeding. Mix seed with radish or baby lettuce greens to mark the growing area. Lettuce leaves and radish can be harvested around the carrot seedlings before the carrot roots develop to a harvestable size. Keep harvested carrots for months by layering in wooden boxes of damp sand. A mesclun mix can be scattered in a small area and outer leaves can be cut from every few plants as they grow. 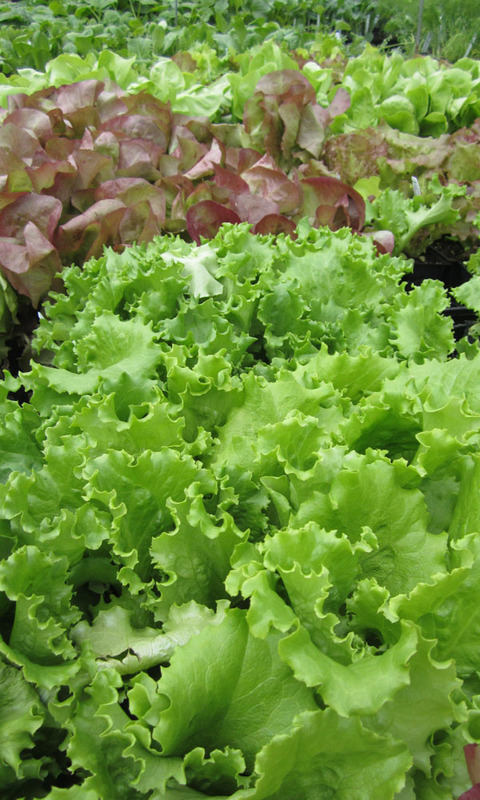 Occasional pulling of a large lettuce clump will ‘thin’ the area and allow other lettuce clumps to grow larger. Warm weather will cause the lettuce to bolt and once flower stems emerge, the greens get bitter. Pull the whole plant if you see the center core beginning to elongate. To deter snails or slugs, spread diatomaceous earth (crushed volcanic or pumice stone) or crushed eggshells (pre-rinsed) around the plants. Also keep thinning and sow fresh rows. A board or stone in your garden path will attract slugs looking for cool damp places to escape the sun. Lift the stone or board daily, scrape off and dispose of slugs into a jar of soapy saltwater. Peas – plant as early as possible and continue until June. Peas will bolt in warm weather. If the summer is cool, a July through August sowing will yield peas in September and October. Parsnip – seed in succession through May. Consider the advice for carrot. Water well once they start to flower. Pick daily to keep plants producing. Planting pole beans on at fence posts and teepees, or against a trellis will help save garden space. To prevent cucumber beetles and vine borers, cover cucumber plants and the next four vegetables at planting time with remay or spun-polyester cloth. The cloth allows moisture and sunlight to penetrate but keeps out the beetles and borers. By the time flowers are produced, plants will be larger and can withstand pests so you can remove the cloth. Keep inspecting for signs of pests and pick off. Summer Squash - seeds or transplants into August. Winter Squash– seeds or transplants through June. As mentioned before, planting two or three varieties of each vegetable will help you ride out the vagaries of weather and pests. Plant these as transplants and after all danger of frost has passed. Confirm that you haven’t planted the vegetable in the same spot for at least 3 seasons. Add compost at the beginning of the season. Mulch with Salt Hay around plants to keep soils moist and weed seeds out. Weeds will germinate anyway and will compete with vegetables for nutrients in the garden. Visit the garden every day to pull them out by the roots and stay ahead of weeds. Avoid overhead watering and water with soaker hoses early in the day to prevent disease from developing on cool damp leaves. To keep out rabbits and woodchucks – you’ll need a heavy-duty fence. Dogs, frequent visits to the garden and predator urine can help as well. Plant Annual flowers and herbs like dill (with your leafy group) or fennel (with your root group) among the vegetables to encourage pollinators, to distract insect pests and to attract beneficial insects (who keep pest insects in check).